Customers seeking a reliable vacuum cleaner to clean stairs enjoy a wide selection today. With retail discount prices ranging from under $50 to well over $1,000, manufacturers offer a variety of products designed to suit nearly every budget. Vacuums today often come with particular specifications in mind. For instance, some are tailored for performing well with picking up animal hair and allergens, some with easy to empty drums and attachments for every nook and cranny. The best vacuum for stairs needs to perform well across a variety of different criteria. Several factors enter into a decision to purchase a vacuum cleaner for stair cleaning purposes. Different products may suit one customer well, but fail to meet the needs of another. For example, someone cleaning a a very steep, narrow staircase with a long flight of stairs may prefer a lightweight, highly portable cleaning tool. By contrast, someone who routinely vacuums just one or two carpeted stairs leading to a sunken living room or den might prefer a much heavier vacuum with functions designed to retrieve embedded dirt from carpets. For long deep stairwells, cordless or handheld vacuums are popular, because you don’t need to worry about snagging the power cord when you get to far from the wall outlet. In the same scenario where there are lots of stairs, an extendable hose is also popular, allowing you to detach the hose and such out all the dirt from the many tough angles that stairs contain. In reality, everyone has different demands from their carpets, flooring, stairwells and habits that determine what the best vacuum for stairs is for them. But there is commonality, and we have filtered down our list based on relevant criteria, to bring you our best vacuum for stairs selection. 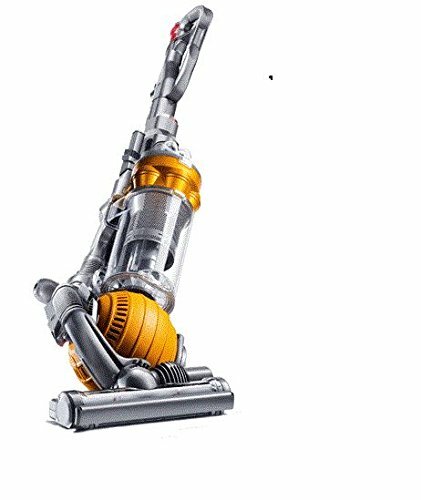 The British manufacturer, Dyson, offers a wide variety of innovative vacuums in upright, canister, cordless and hand-held forms. The Dyson line of ball vacuums range in price from around $400 to nearly $700. The DC25 Ball All Floors Upright Vacuum retails for slightly over $500 and offers customers a powerful tool for extracting dirt from a bare or carpeted staircase. This lightweight, easily maneuvered upright vacuum pivots in narrow spaces. It won’t require the use of vacuum bags, and the manufacturer’s patented design enables the machine to retain suction effectively without the necessity of changing the filter. It provides a top quality cleaning solution for staircases. Eureka also manufactures a full line of canister, upright and lightweight cleaning products. It Easy Clean® Hand Vac 71B offers a way to rapidly spot clean hard-to-reach locations on stairways using a corded hand held system. The device retails for under $50. It provides a “power risor” designed for cleaning either carpeting on stairs or upholstery. 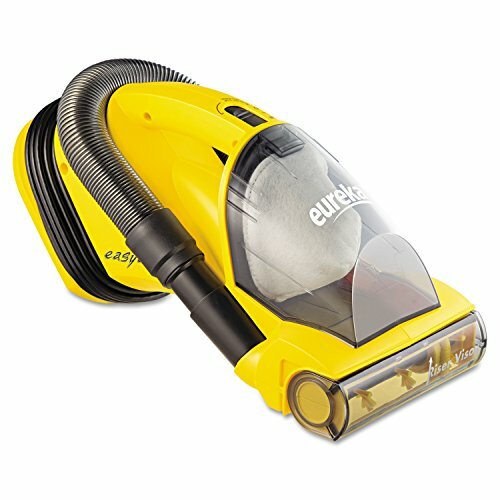 This small vac furnishes a 5.5 amp motor and a 23-foot range for cleaning purposes, enabling it to work well on many staircases. Bissell produced some of the earliest commercial vacuum cleaners. The firm continues to offer a full line of different cleaning equipment today, including the popular “One Pass” CleanView Upright Vacuum retailing for under $100. The 25-foot long power cord and light weight of this machine enable it to clean many types of staircases, including carpeted surfaces. A cyclonic suction system contributes to effective rapid dust collection. The manufacturer supplies a limited warranty extending for two years. The compact size of this vacuum permits storage in a hallway closet. It offers a lot of cleaning value for a very affordable price. Hoover has also manufactured high quality vacuum cleaners for generations. The nimble Hoover Sprint Quick Vac Bagless Upright Vacuum Model UH20040 weighs under 13 pounds, enabling most operators to carry it easily by its handle. It retails for under $100, and also offers a solid value for people interested in an ultra light weight, easily portable vacuum for stair cleaning purposes. This product uses a 10 ampere motor and a cyclonic system to remove large debris, together with a filter for lighter weight particles. The 23-foot long power cord permits a wide cleaning range. This vacuum can extend up to seven feet above the floor, enabling stair cleaning to include balustrades more easily. Kirby began manufacturing vacuum cleaners during the early 1900s. The company distributes its products through dealerships and offers a lifetime rebuild plan, so many former Kirby models find their way onto Amazon.com. Currently marketing the Avalir, Kirby also produced the very popular Sentria and Sentria II models, still some of the most popular vacuums for cleaning stairs. A Sentria upright vacuum retails for around $1200. These high end, durable vacuums offer solid, lightweight aluminum construction and ergonomically designed handles. A $39.40 replacement attachment assists stair and upholstery cleaning. The Kirby models use HEPA filter systems and vacuum bags. 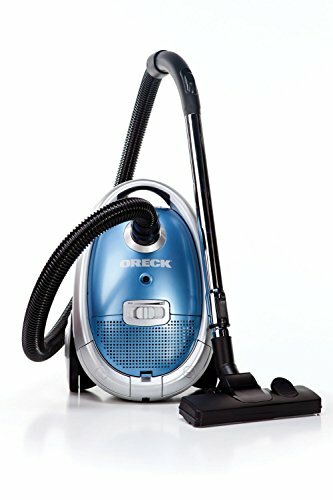 The Oreck Quest canister vacuum offers reliable vacuuming of stairs and difficult to reach surfaces. It is backed up with a manufacturer’s limited warranty of three years. Oreck furnishes many different cleaning machines. 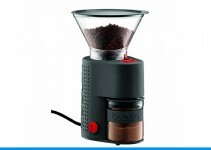 The Quest utilizes a filter system, with suction sustained by a 10 ampere motor. Without the hose and attachments, this machine weighs an impressive ten pounds, enabling easy maneuverability for most people. The canister measures 17″ in length and around 14″ in width and height, permitting it to fit comfortably on some, but not all, stairs. The vacuum’s strong suction and a five-foot long hose and 30″ extension wand make this a very useful tool for cleaning staircases. The economical Shark line of vacuums have achieved popularity in the United States as a low-cost competitor to Dyson. 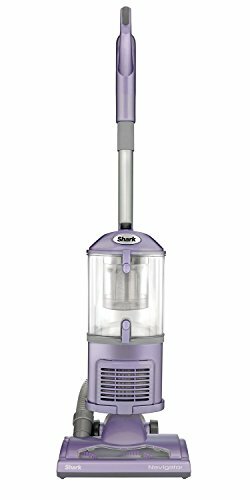 The Shark Navigator Lift-Away Vacuum Model NV350 series retails for approximately $150 online. 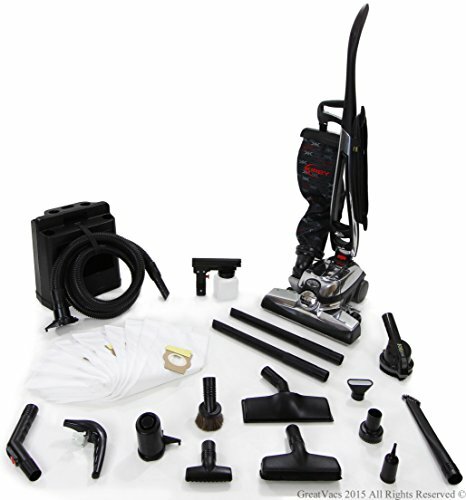 This vacuum, although an upright, contains a detachable dust collection canister that operators can remove and use with an extension wand to clean hard-to-reach locations and stairways. This innovative feature essentially allows this version of the Navigator to double as a canister vacuum. The canister weights just 7.5 pounds without any attachments. 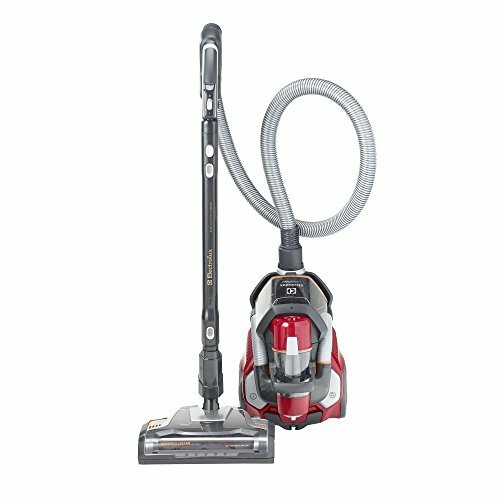 The Dirt Devil Simpli-Stick Vacuum SD20000RED earns high praise for its affordable online retail price of under $30. Weighing just 3.8 pounds, this ultra-thin stick vacuum with a 16-foot cord will fit on most stairs. It includes a detachable cleaning tool that enables easy spot-cleaning. 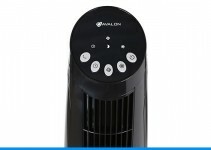 Although it uses a 1.25 ampere motor, it reportedly will collect per hair. A company widely known for its line of shop equipment, Black and Decker offers hand held cordless vacuums suitable for cleaning some hard-to-access stairs. For instance, the Lithium Bare Hand Vac supplies a battery-operated hand held tool that collects dust and debris into a clear compartment using a cyclonic system. It usually retails with a list price of under $80. The UltraFlex EL4335A by Electrolux retails for a list price of $499.99. 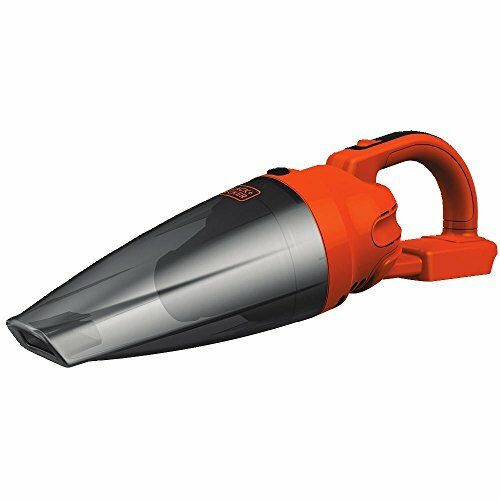 This large yet lightweight canister vac with a 12 ampere motor and 120 volts of power offers superior cleaning performance on carpeted surfaces, including staircases. The canister structure and attachments permit easy portability, perfect for cleaning either carpeted or bare surfaces. Controls enable the operator to adjust the height of the vacuum suction interface between three different levels. The brush roller displays a unique, convenient self-cleaning technology allowing the effortless removal of tangles from the bristles. All of these best vacuum for stairs models offer significant benefits for cleaning stairs. Different features will appeal to some customers, depending on their requirements. But any of these given models excel at what they do. There is something here for everyone’s stair vacuuming needs.